Last week I delivered my independent Viva Survivor workshop. I’ve been excited about the possibility for a long time, and to finally do something in this way was great. I’ll try to write something about it soon, but wanted instead today to share something that I made for the workshop: The Viva Prep Handbook. 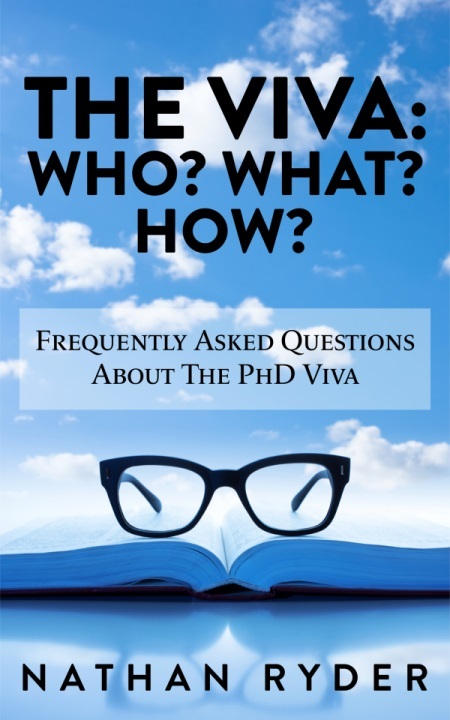 It may be that you have a luxury of time available to you between submission and the viva. It is more likely that you may have no choice but to prepare in your spare time because of work or life circumstances. This is not a problem. Why? Because this is how many PhD graduates have prepared for the viva. You can do it too. Through the rest of this concise book I will be presenting tools and processes that you can break down into small, manageable tasks and activities. Viva preparation is not a full time job: follow these tips, tools and processes to manage your time and energy well. You can see more about it over on the Books page, along with the print edition of my first book Fail Your Viva. It costs £3.49 to have one delivered to your door (and there are options if you want to buy it in bulk too, or buy it with Fail Your Viva). Sales help to support the podcast’s overheads and my business. I like the short but useful format of the zine, and I think I will make a few more guides like this before the end of the year. 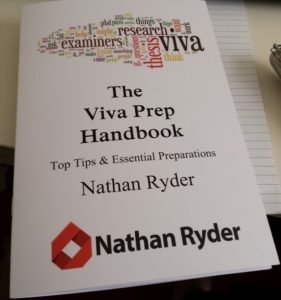 If The Viva Prep Handbook sounds useful to you, go ahead and order a copy from the Books page – or via the Paypal button at the bottom of this post – I’ll get it in the post to you as soon as possible! And if you want to know more, just drop me an email.